The Placement Committee plays an important role in shaping the careers of students from their induction and orientation, summer internships, mid-term projects, right to their final placements and even beyond. The Placement Committee also networks with the Institute's alumni for creating more career opportunities. It also aims to support alumni by creating more career opportunities and switches for them, through its vast network of industry contacts. Therefore naturally, managing Corporate Institute interface is an important responsibility of this Committee and it is also involved in brand building activities for the institute. •	To improve the finance knowledge of the students. •	To understand the application of finance theory in the industry. •	To organize events of grandeur on the national and international levels. 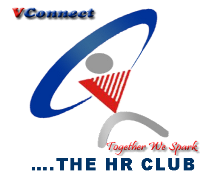 It was started in 2009 to provide platform all HR activities and related events. self as a true HR Professional. •	To make students ready for corporate through various initiatives. •	To bridge the GAP between theory and practice. •	To keep VIVA HR updated with current scenario & latest trends. •	To link up the students with the HR world. in learning more about marketing. •	To meet regularly to update knowledge of current marketing strategies. •	To organize seminars with acknowledged guest speakers. •	To motivate students to participate in workshops from the industry. •	To introduce activities of real life businesses through company visits. • To develop marketing plans and other marketing related tools.